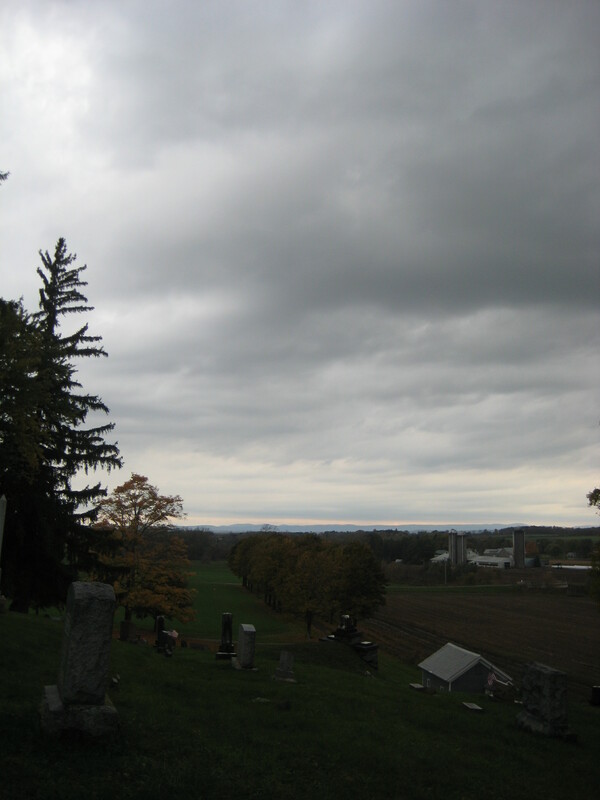 The road to the Chuctanunda Rural Cemetery, in the town of Florida, NY. 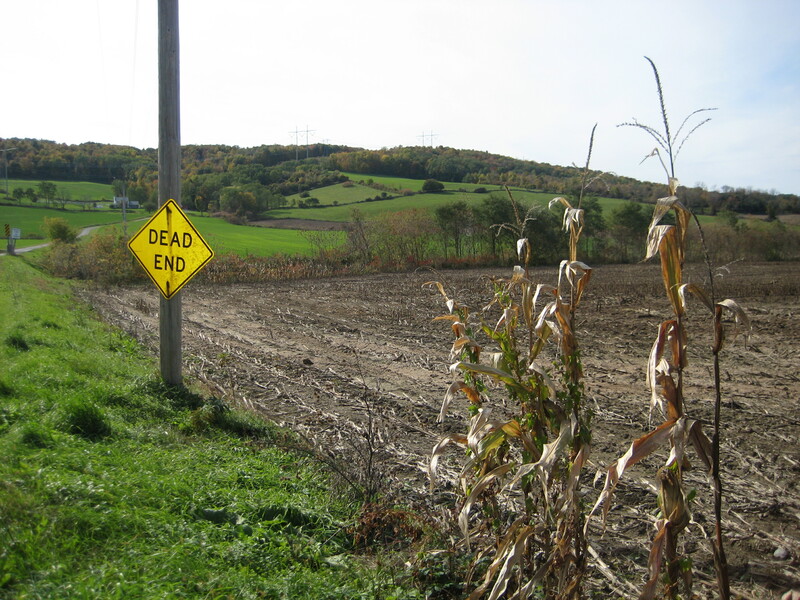 It’s a lovely country road, and is—I’m sorry but it’s true—a dead end. 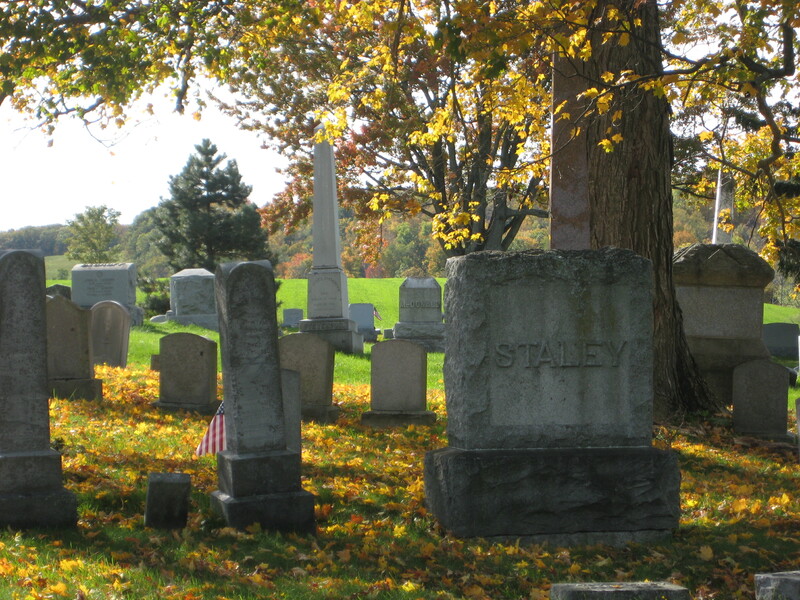 There’s something about old graveyards that I love, especially around Halloween. The tilted tombstones, the autumn light, the quiet rustle of the leaves behind you…it’s all pleasantly spooky without being terrifying. But most of all I love the trees. 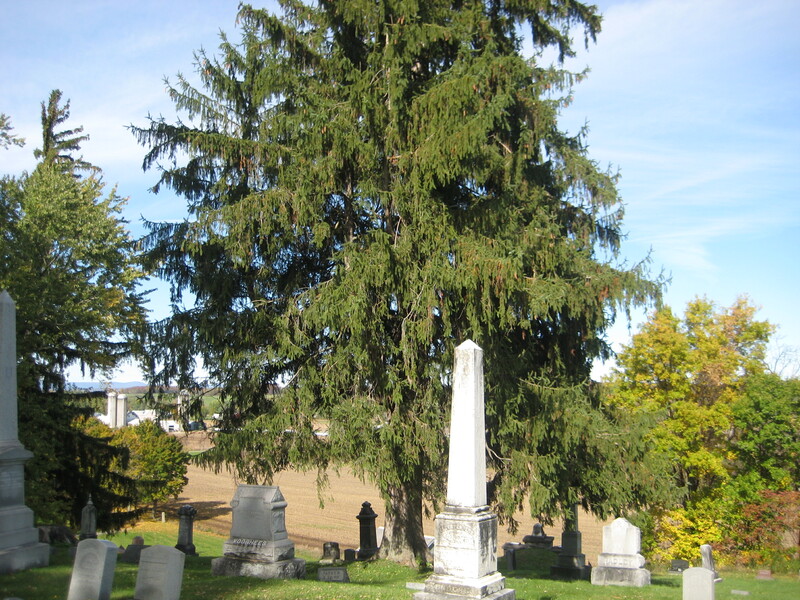 Trees in graveyards have personality, I find. Planted singly, they don’t have to compete with other trees for sunlight, so they can spread out their arms, grow wide and impressive. This cemetery is one of the most beautiful I’ve ever seen. It’s on a hilltop, with a wonderful view. And it’s filled with trees, especially tall, dark and handsome Norway spruces. I was surprised, when I googled Norway spruces, how little the Internet had to say about these majestic trees. “Picea abies is useful for lumber,” remarked one site. “Used in making violins, but not usually the wood of choice,” sniffed another. 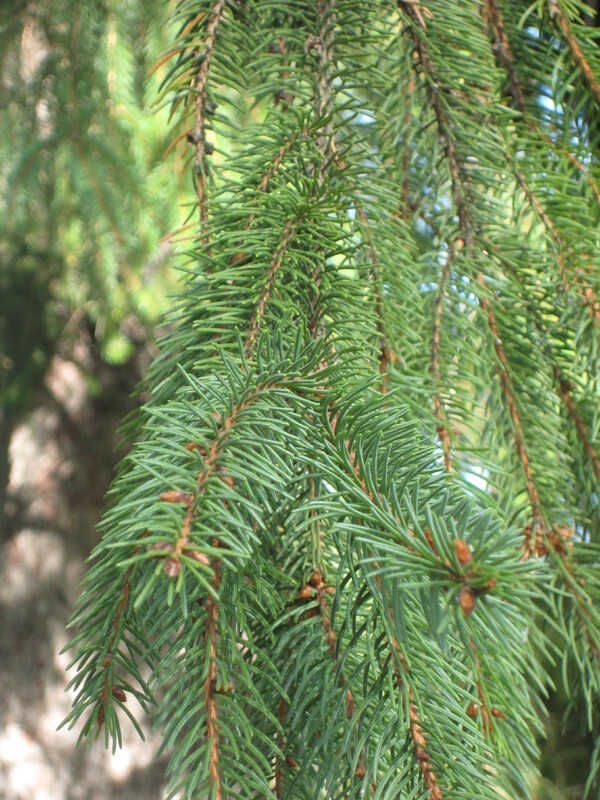 “A pleasant fragrance, but poor needle retention when brought indoors,” sneered a site dedicated to Christmas Trees. 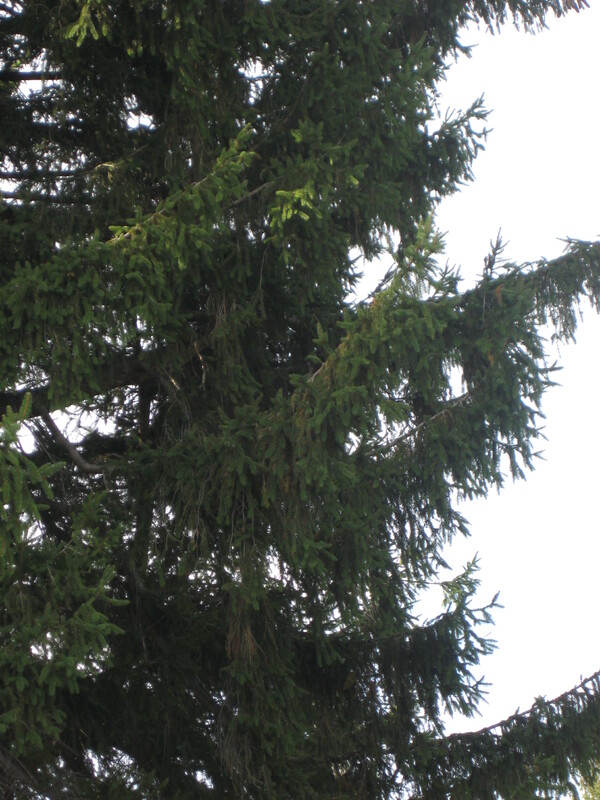 Norway spruce are not, obviously, native to the US, but have been planted here a lot. They occasionally naturalize (grow wild) but not enough to be a serious invasive. In spite of that embarrassing needle retention problem, they do make impressive outdoor Christmas trees—the big one in Rockefeller Center, for instance, is always a Norway spruce. They’re not tremendously helpful for native wildlife, although they do have long cigar-shaped cones that red squirrels are quite nuts about. They’re solid, useful trees for landscaping, tall, shapely, and make good windbreaks. A little dull, you’d think. But Norway spruces have one thing that they excel at. 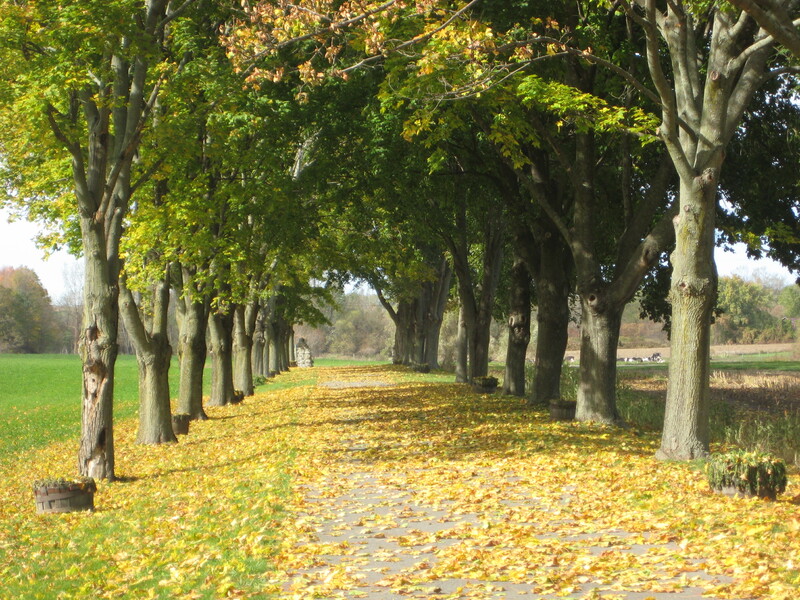 The limbs reach out from the trunk with a graceful upward curve, and then the branches hang down like long green braids. They’re beautifully eerie, like Spanish moss. You can’t miss a Norway spruce, even from a distance—that symmetrical outline, with the drooping branches swaying in the wind, is unmistakable. 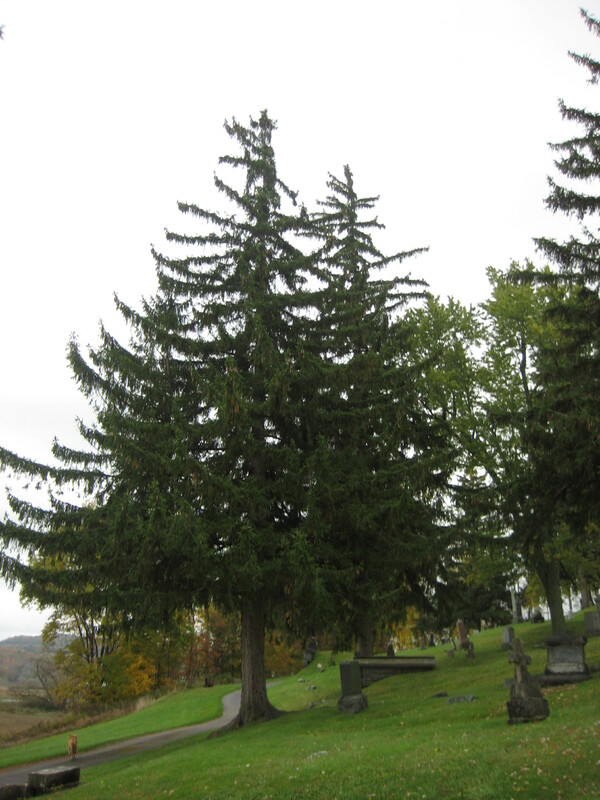 Norway spruces have a brooding, melancholy air that is a perfect fit for graveyards. A tree that’s more Halloween than Christmas.